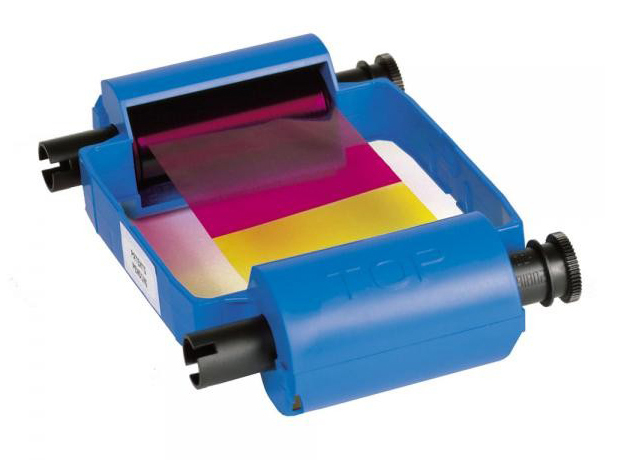 The Zebra 800017-240 printer ribbon replaces the Zebra 800015-940 – producing the same sharp four-color images, text and bar codes with a clear protective overcoat. However the Zebra 800017-240 is eco friendly. The Zebra 800017-240 full-color ribbon YMCKO delivers picture perfect results for your ID card needs and can print 200 images. The Zebra 800015-240 full color ribbon is for use with the Zebra P100i, P110i, and P120i ID card printers.